New CAG Headquarters and possible substance abuse recovery clinic at 201 15th Street, SE. 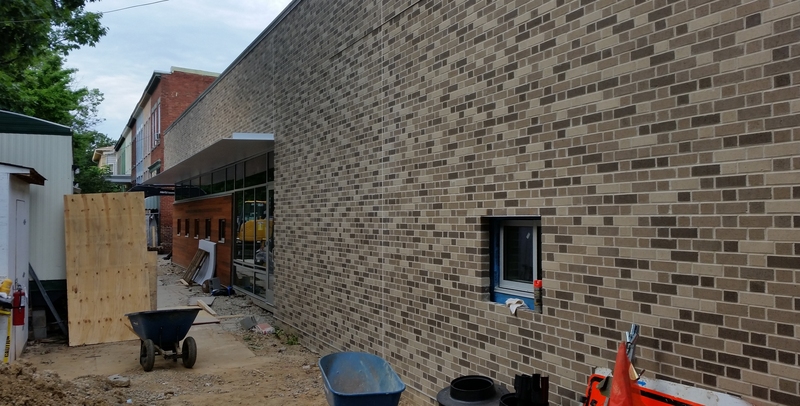 Projecet is scheduled for completion by the end of June. Occupancy is anticipated in mid-September. Click to enlarge. 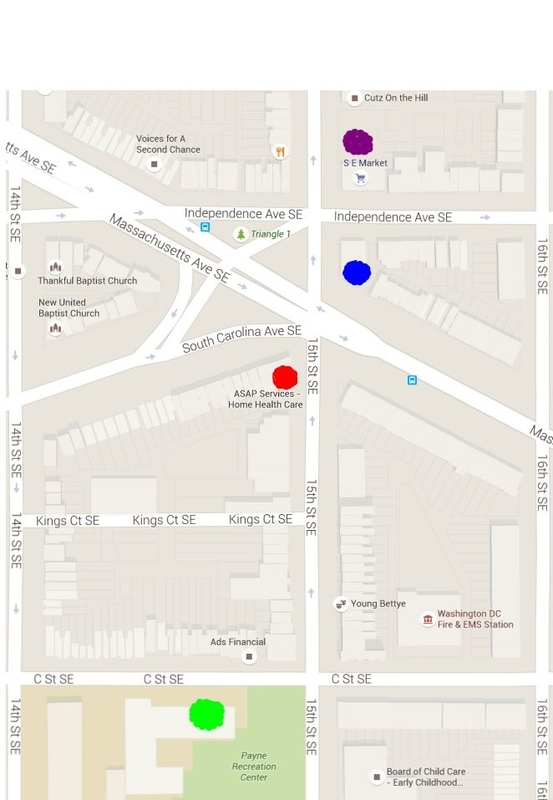 DC’s Department of Behavioral Services’ (DBH) faulty assumption contributes to a perfect storm brewing in Hill East at the intersection of 15th Street and Independence Avenue, SE. Monday night, Hill East residents and ANC6B Commissioners Jayaraman and Krepp learned for the first time that the newly constructed Community Action Group (CAG) headquarters at 201 15th Street, SE, which has been publicized as administrative offices, will seek to be certified to provide substance abuse and other counseling services for up to 50 clients a day at the location. 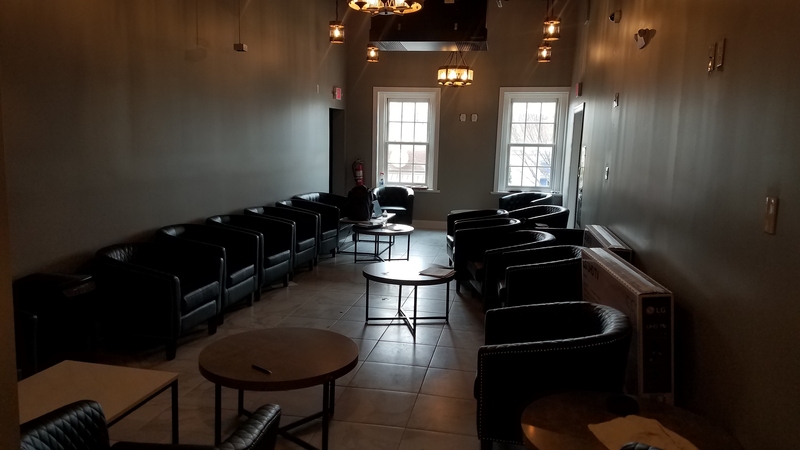 Jayaraman had questioned the Department of Behavioral Services (DBH) regarding their understanding of whether the CAG was going to apply for a certification as a substance abuse recovery clinic, and was told “we do not expect CAG to seek certification” for the 15th Street location. CAG is already certified to operate as a clinic for space it leases at 12th and Pennsylvania Avenue, SE, and Monday night, CAG President Janice Gordon commented that she was looking forward to a moving into the new building because of the expense of leasing the Pennsylvania Avenue location. Gordon said that the CAG headquarters aimed to serve the community and would perform spiritual, social, recreation and health and wellness functions but would not provide details on what these functions entailed. 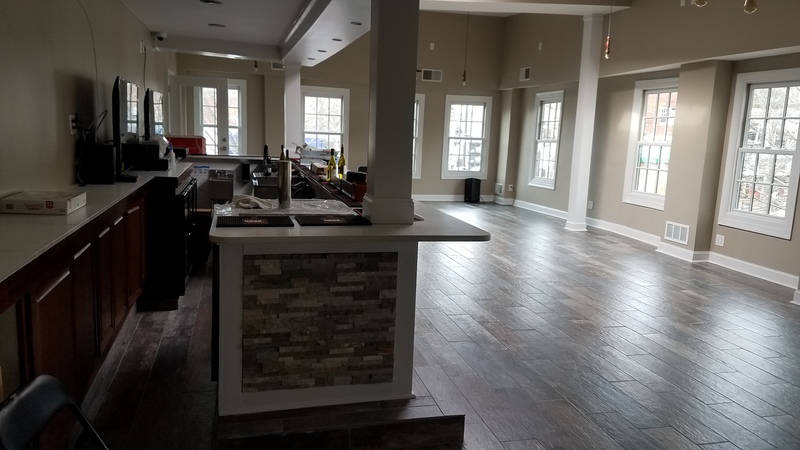 She said, “Once we get into the building the space that we have will determine specifically how far we’ll go in any direction.” She said CAG had not yet had any conversations with DBH. Between the two facilities there is a 7-11 – weeks from opening – which will sell fast food, soft drinks, and cigarettes. Also between them is a mom and pop market selling alcohol. The intersection of Independence, Massachusetts, and 15th Street provides considerable greenspace and an alley behind the 7-11 that has been a hangout spot for public drinking for years, if not decades. Payne school, City Center Charter School, and the Early Childhood Education Center are within 1000 feet of at least one of the proposed clinics. DC General is four blocks away – from which (according to Jayaraman) some of the Andromeda’s clients will be drawn. All of this surrounded by a diverse residential area of Hill East. 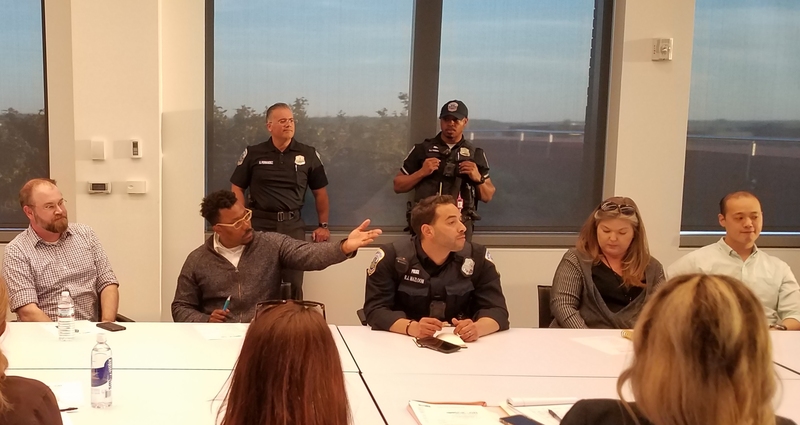 The two ANC commissioners have been trying to alleviate the impact on the community. They pushed hard and apparently successfully to prevent sale of alcohol by the 7-11. Jayaraman is appealing the Certificate of Occupancy for Andromeda with the Bureau of Zoning Adjustment (BZA) based on its mis-classification of itself as a general business office when it is actually a medical treatment facility. Yesterday, Krepp emailed DBH to ask for a sit-down with CAG, Andromeda, and ANC Commissioners. As of last night she had not received a reply. 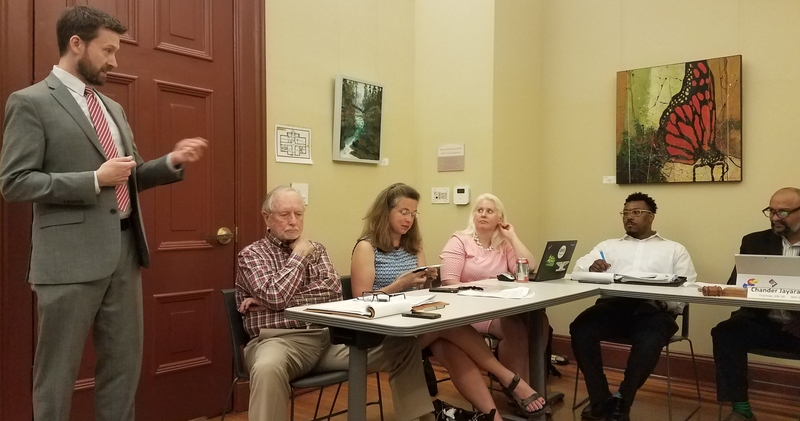 Gary Peterson, Chair of the Capitol Hill Restoration Society (CHRS) Zoning Committee, told CHC that the committee had taken a position opposing Andromeda on the grounds that it has been mis-classified as a business office when it is actually a treatment facility and that zoning regulations restrict whatever is done on the site to “neighborhood serving commercial” enterprises. Petersen said that Andromeda had not made the case that their clients were from the neighborhood and it was his understanding that many of the clients are referred by the courts and Court Services and Offender Supervision Agency (CSOSA). CHRS will file a letter of opposition with the Bureau of Zoning Adjustment on that basis. It is not clear whether the same claims will or could be raised against CAG when it applies for certification as a medical facility at it’s new location. The Board of Zoning Adjustment will hold a hearing on the Jayaraman’s appeal on July 28th. The expertise of the CHRS, and of its zoning committee, is crucial to Capitol Hill. Am I reading this right, they lied on their applications about what sort of business they’d be doing there? That’s super shady and should absolutely be grounds for a reversal or delay of their approval. I was a neighbor of CAG when they were at the Bayou Bakery location for many years. They were a great organization that actually helped people stop drinking, drugging and engaging in cons or criminal acts. I specifically know of some of their individual success stories – one of whom was notorious on the Hill in the 80’s for the “bike messenger with a flat tire needs $7 to fix it” scam. I donated my old Toyota to them and it helped a “graduate” chef who just got a job and housing to get to his job. If you are unfortunate enough to have 7-11 sell liquor, there is no better influence than having CAG next door to have folks right nearby who can model self improvement behavior. They hope to hold meditation and yoga classes there. Hal Gordon who started it was a lovely man with a great vision, Tom Riehle who died last year and was a major community activist was very involved with working side by side with Janice Gordon (Hal’s widow) as she took over the organization. They will have CAG Security wearing marked shirts as well to help the neighborhood too. 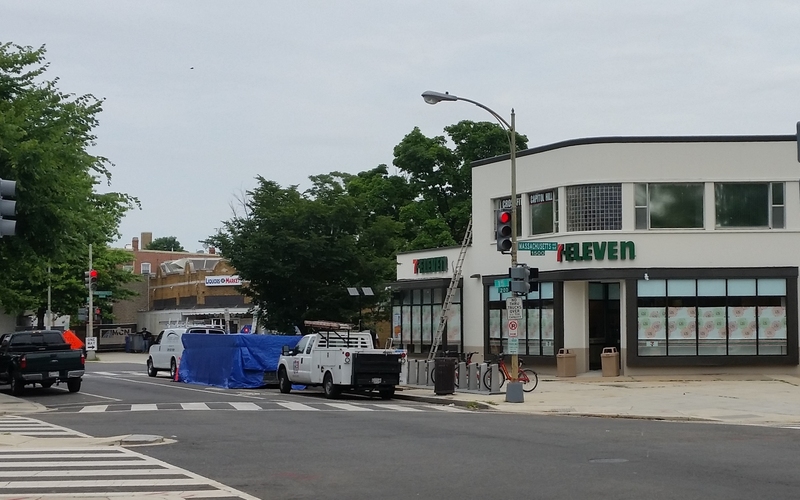 This has a “build it and they shall come” feeling along with the traditional “bait and switch” nature of building and zoning in the DC Government. Follow the money. This is such disappointing news for those of us who live nearby. These facilities are located between two schools. There is already heavy foot traffic late into the night, drug activity, littering and loitering. Apart from selling our homes and leaving our community, what actions can we take to ensure this neighborhood remains livable for all who call it home? That CAG site has been a blight on the neighborhood for years. They have outlived their usefulness to the neighborhood, their new building is an ugly waste and no longer needed by the community that currently lives around them. I’ve been following the Andromeda saga and am convinced they are just existing to profit off city contacts with no oversight. CAG and Andromeda could have easily pulled this off in “old DC” but they are going to have a tough row ahead with the current community. Once DC General closes, they will both be pretty far from the communities they claim to be helping. Your comments “old DC ” and ” far from the communities they claim to be helping” are a little perplexing? What exactly are you saying here; that old DC was black and the only people that would need substance abuse treatment are east of the river and black? 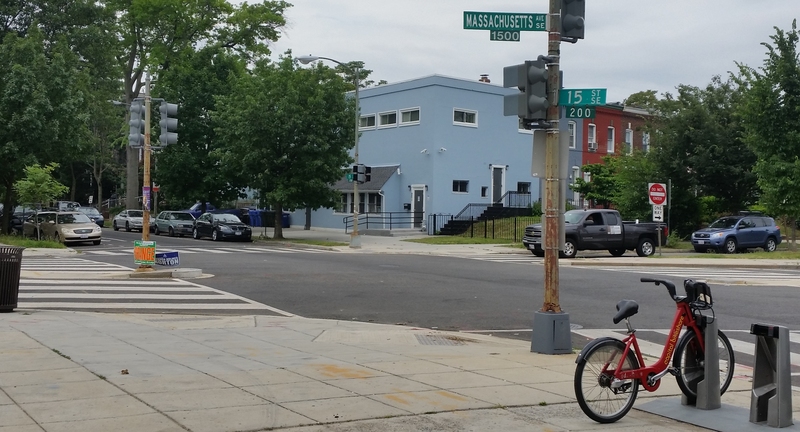 This neighborhood is just as good as any and it’s not exclusive to the “new DC” community members. Somewhere we need to find room in our neighborhood and our hearts for people who struggle. It is likely that having two centers so close needs to be reexamined. CAG is already here. It sounds like Andromeda is not a settled matter. Also, I don’t get the impression that CAG is going to be offering services such as walk-in counselling etc. with lots of people coming and going all day. Rather they may have some group events that will be focused and a limited number of client referral meetings. But CAGs treatment centers are in other areas of the city and that is where they provide most of their services. The bulk of activity at the CAG build will be administrative offices along with meeting spaces. Regard the per son who said the new building is ugly, you ought to have seen what it replaced and thank your lucky stars. The corner “mom and pop” store is surely in need of serious cosmetic help and the selling of alcohol there is of far greater concern to me than CAG. And how about the old Chinese carryout. There is also a house on the corner of 15th and A (an old barbershop as I recall that could use some architectural rescue to restore its residential look. Etc. IOW there are a LOT of cosmetic issues on the block. Where will you draw the line? “The bulk of activity at the CAG build will be administrative offices along with meeting spaces.” Given how many times CAG has said things that they later reneged on or failed to follow through on, I don’t buy this hollow promise. It would not surprise me if they started shifting their counseling services to this location down the road. Why hasn’t Ward 3 jumped in to take some of these social services ? Why are they immune to helping out the needy and mentally handicapped? They all come to our area from places such as Ward 3 , Mo Co and Fairfax to volunteer but they are- for some unstated reason[s] not able to locate any of these facilities near their own schools or liquor stores ? Ward 3 certainly has the resources and has so few facilities of this nature.